There are ample opportunities to hang out and get involved in many youth events! Review the groups below, join them, and then BEGIN TO HAVE FUN as you learn more about your life with Christ! the school year from 10:15-11:45 AM for faith, fellowship and fun. Check our calendar for the next meeting; you can always bring a friend! In addition, we have various events throughout the year which are also posted on the website calendar. VISIT THE HIGH SCHOOL'S OWN WEBSITE. 10:25 AM in the Art Room. 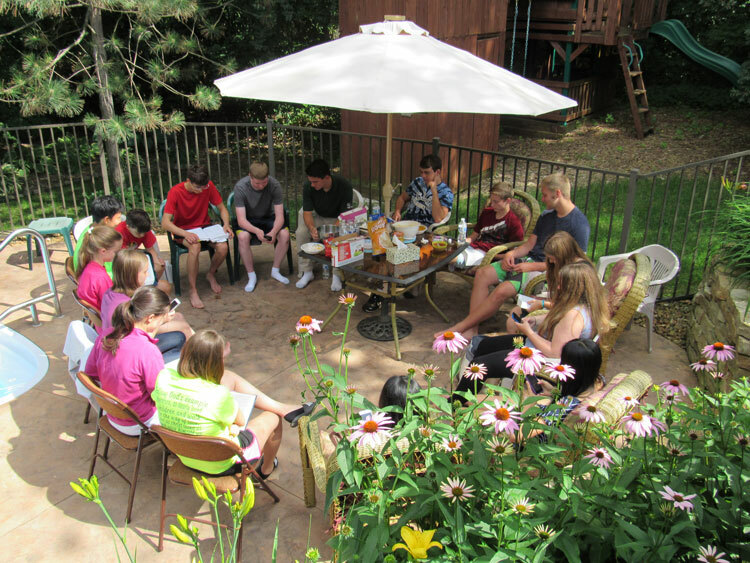 On Fridays, students also meet weekly at different houses. In addition, there are other events scheduled which are on Divine Redeemer’s calendar or visit the website link above. Bring a friend! Contact Annmarie.hahn@drlc.org for any questions.